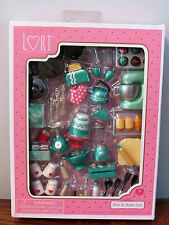 (Up for sale is this really ADORABLE Our Generation Lori Doll Mix & Bake set! :-) I DO have MANY other pieces & dolls to this set! EACH TO BE LISTED SHORTLY! And will have signs of use and or wear. The Secret Ingredient Is Imagination! Includes: 1 Bamboo Steamer, 1 Cluster Of Broccoli, 1 Cluster Of Green Beans, 1 Tray Of Lasagna, 1 Pizza, 1 Pizza Slice 1 Tray, 2 Sushi Rolls, 1 Sushi Mat, 2 Sushi Boards, 2 Sets Of Chop Sticks, 1 Fondue Pot, 1 Fondue Burner, 2 Fondue Forks, 3 Food Bags, 1 Baguette 1 Paper Bag, And Much More! LORI - Our Generation - Battat. New in Box! My Friends And I Are Smart, Adventurous, And Trendy Little Girls. Weve Been Told That Our Best Accessory Is Our Smile, And We Wear It Wherever We Go! We Love Ballet, Reading, Giggling, And Playing With Our Pets. Condition of box may differ from the one shown. Lori Doll Accessory - 40-piece Gourmet Market for 6" Dolls. Can be used with Barbie too. Perfect size. I have attempted to describe my listing as accurately as possible. Please view all photos because they are part of the description as well. Please ask questions when you need to. I will answer all of your questions in a timely manner. I ship M-F. I do not ship outside the U.S. except though GSP. I will combine shipping when possible. Please ask questions before bidding. Thanks for looking. BRAND NEW RELEASE From Our Generation Gnome Sweet Home Doll Accessory Set. Condition is New. Shipped with USPS First Class Package. Adorable Set for Wellie Wishers and the Wellie Wisher Playhouse too! Here is a brunette battat LORI doll by OUR GENERATION in excellent used condition. purse (still attached). Up for SALE is. Brand New Set of Battat Glitter Girls Doll Clothes Lot Of 3 ~ 14” Doll Clothes Leggings & Shoes. Condition is New. Shipped with USPS First Class Package. Included is: SHINE OR KNOT STEPPING STARLIGHT BRIGHT STARS Fits dolls 14” tall. — including Glitter Girls & the Wellie Wishers little American Girl Doll These are safely stored in my smoke free home and will be quickly shipped to you. Thanks for shopping with Alertsisters. • Fits most 18" dolls. OUR GENERATION 6" MINI LORI DOLLS LOT OF 4 PIECES AND 1 OUTFIT. EVERYTHING IS SHOWN IN THE PICTURES. USED, IN GOOD CONDITION. THE OUTFIT IS NEW BUT THE BOX IS MISSING A CELLOPHANE WINDOW. Two lovely Battat Lori mini dolls, approx. 6.25" tall. Includes Briella and Tama. Outfits are not complete. Both are in excellent, clean, pre-owned condition. One shirt has a bit of pilling. BEFORE you buy. Up for SALE is. Brand New Set of Battat Glitter Girls Doll Clothes Lot Of 3 ~ 14” Doll Clothes Leggings & Shoes. Condition is New. Shipped with USPS First Class Package. Included is: FLAMINGO GLOW BRIGHT STARS STEPPING STARLIGHT Fits dolls 14” tall. — including Glitter Girls & the Wellie Wishers little American Girl Doll These are safely stored in my smoke free home and will be quickly shipped to you. Thanks for shopping with Alertsisters. Lots of shoes, but the shoes may not be our generation, but they should fit your doll. These are pet and smoke free. Maybe a little girl will enjoy them. There may be a small stain here or there but overall I feel in nice preowned condition. OUR GENERATION DOLLS FOOD, DISHES AND KITCHEN ACCESSORIES. EVERYTHING IS SHOWN IN THE PICTURES. IN GOOD CONDITION. Very good condition. Has mark under one foot. Please see pics for additional details. Comes from a non-smoking home. Includes: 1 Doll With Earring Holes, 1 Dress, 1 Shrug, 2 Headbands, 1 Pair Of Undies, 1 Pair Of Shoes, 1 Jewelry Stand, 2 Necklaces, 1 Bracelet, 2 Bobby Pins, 1 Watch And 3 Pairs Of Doll Earrings. *Earrings Are For Doll Only. Our Generation Red Kitchen for 18” Doll w/Stove,Sink,Refrigerator Set & Lot. Condition is Used. Comes with what you see in the pictures. Ask questions before you buy. Trending at $10.00eBay determines this price through a machine learned model of the product's sale prices within the last 90 days. Cute deluxe skirt doll outfit includes a faux-fur skirt, heart-dotted blouse, ballet flats, tights, bracelet and a golden cat mask. Faux-fur skirt outfit pieces can mix and match with other outfits in the collection. What makes Aileen special She has a silly streak that will make you giggle, a caring heart that's always open to helping friends in need, and pierced ears that can really wear earrings! Q: Are Your Prices Negotiable?. Up for SALE is. Brand New Set of Battat Glitter Girls Doll Clothes Lot Of 3 ~ 14” Doll Clothes Leggings & Shoes. Condition is New. Shipped with USPS First Class Package. Included is: FLUTTER AND SPARKLE STARRY SNEAKERS SPARKLE SPLATTER Fits dolls 14” tall. — including Glitter Girls & the Wellie Wishers little American Girl Doll These are safely stored in my smoke free home and will be quickly shipped to you. Thanks for shopping with Alertsisters. 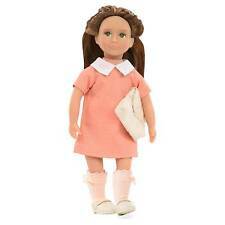 Our Generation Dolls It Seams Perfect Pretend Dressmaking Set for 18" Dolls. Condition is New. Shipped with USPS Priority Mail. Our Generation WASHER DRYER LAUNDRY SET. Lot #01000. OUR GENERATION ZURI AFRICAN AMERICAN 18” DOLL WITH EXTENDABLE HAIR & HAIR GUIDE. Condition is open box. Shipped with USPS Priority Mail. Our Generation By Battat 18” Doll Red Hair Blue Eyes Cute Friend For Girls. In very good played with condition. Her outfit is original. Please see pictures as it is part of my description. Any questions please contact me. Comes from smoke free home. Thank you for looking. It contains one radio that plays six songs, a book, sunglasses and a picnic blanket. Boxes may have shelf wear. Our Generation Gourmet Kitchen. Condition is New. Shipped with USPS Priority Mail. Includes horse, saddle, saddle pad, bridle, and grooming tools. 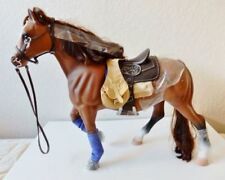 Miniature 6in horse and accessories for 6in mini dolls. For ages 3 Plus. Tyler is outfitted in riding clothes and boots. 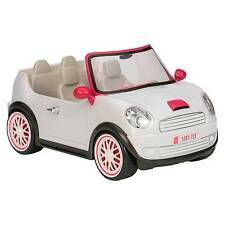 Our generation doll jeep for your dolls to ride around! Attaches to our generation camper having a hitch clamp. In great condition! Doll not included. THIS DOLL WAS IN A CORNER CURIO CABINET IN CLEAR PLASTIC BAG, FROM AN ESTATE SALE. Our Generation Doll Food/Accessory Lot - Also fits American Girl. Condition is Used. Shipped with USPS First Class Package. Includes the adorable copper colored horseshoe necklace! Our generation outfits. New ListingLori by Our Generation Sweet Simplicity Fashion Doll Outfit For 6” Lori Dolls!